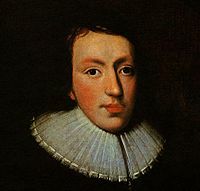 It is opportune to refer to the sentiments of Evelyn's contemporary and political and ecclesiastical opposite - the great Puritan poet and patriot - one of the very greatest name in all literature. Milton's feeling, so far as he had occasion to express it, is quite in unison with the principles of dietetic reform, and in sympathy with aspirations after the more spiritual life. Let herbs to them a bloodless basquet give. From stain licentiousness, and in manners pure. as a picture of the truly earthly paradise to be - "the paradise of peace." Translated by Cowper from the Latin poems of Milton. In a note to to the original poem Thomas Warton justly remarks that “Milton’s panegyrics on temperance both in eating and in drinking, resulting from his own practice, are frequent." Milton's Paradise Lost and Paradise Regained (PDF 13mb) this edition 1854.